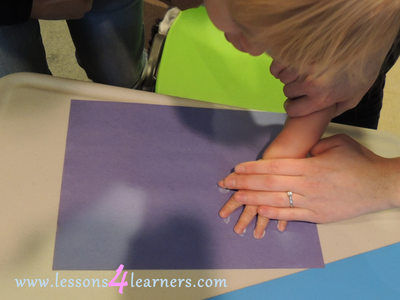 2) When finished, create the memory craft by painting the child’s hand with the white paint. Press it down on the paper and allow to dry. 3) Add a bear face to the thumb of the print. Add paws on the other four legs.